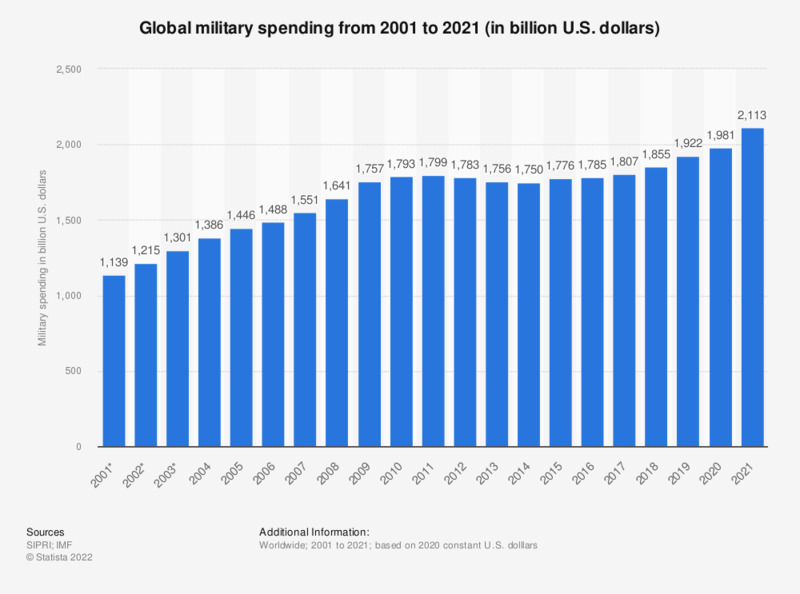 The statistics show the global military spending during the years 2001 and 2017. In 2017, the world's military spending amounted to 1.69 trillion U.S. dollars, compared to 1.1 trillion U.S. dollars in 2001. Data is in 2016 constant U.S. dollars. * Data excludes Iraq from 2001 to 2003. Do you trust or distrust the military?